Attending college can take a severe toll on someone’s mental health even after taking a few years of classes. This may cause anxiety, making it difficult to concentrate and affecting your overall well-being. 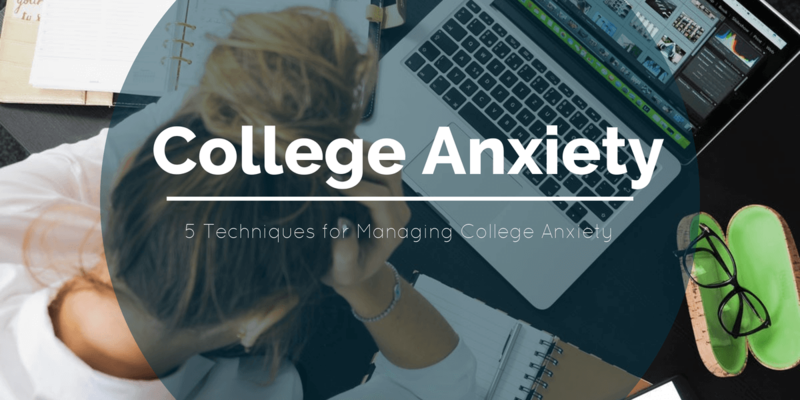 College, especially the later years of college, will be easier to handle with these five techniques. Positivity can mean the difference between a sunny day and a gloomy one. Commit to a positive mindset by writing your thoughts in a journal. Repeat positive affirmations to yourself to rid your mind of negativity. Laugh with a friend over a delicious lunch or funny movie. Be brave enough to be yourself and don’t let the world bring you down. Take a break from the daily stress of campus life by doing hobbies that you love. Doing simple activities can be a fun way to ease your mind from tough classes, homework or strict professors. It can also be calming to get away from other students. Some relaxing hobbies include drawing, painting, listening to music and reading. If you feel like your anxiety or mental health symptoms are too difficult to handle, you might benefit from seeing a trusted therapist. A qualified professional will work to help you solve your problems so that you can live a more peaceful life. Don’t be afraid to ask for help because you are surrounded by people who care about you as a human being. Sometimes the cause of your anxiety may be knowing how poorly you are doing in class. Keep a close eye on your GPA and approach a professor for help if you see it dropping. Your professors and classmates are available to help you succeed when you need extra assistance with course material. College life may become so difficult that you need something to believe in. Spirituality might be just what you need to feel a sense of purpose and meaning in a hectic world. You can try simple yoga techniques, meditation or prayer. Making to breathe and take care of yourself will help college be easier to get through and more enjoyable. Spending time outdoors is a great way to get some fresh air. You can walk down a nature trail to see the sights, head to the park to watch the ducks swimming, or read on a park bench. Feeling grateful for nature and the life you’ve been given can have a calming effect on your state of mind. Plus you get the chance to step away from the issues looming before you and recenter yourself in nature before returning to deal with life again. Don’t let college get you down. You aren’t alone and you aren’t the only one who is suffering from anxiety or mental health issues. Instead, find an outlet to help you cope with everything from bad grades to finding a successful career. Learn more techniques to deal with stress by speaking to a therapist who understands you.